Hotel DIERY *** - Terchová, Mala Fatra National Park Hotel in Terchová near the Janosik holes. NEW WELLNESS in 2016! 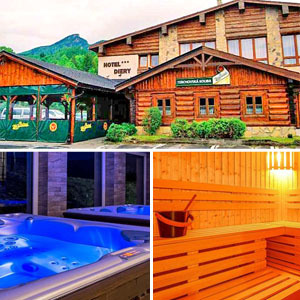 Hotel ** THERMALPARK Dunajska StredaComfortable accommodation in the thermal spa. Enjoy active relaxation and beneficial effects of water.